STI has created a stunning style on the HD6 series wheel. 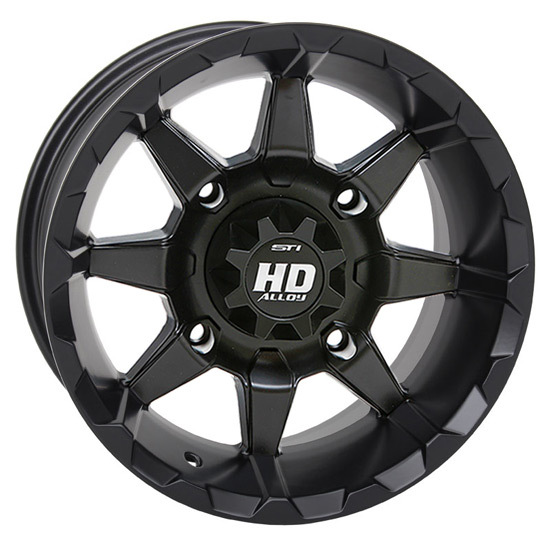 The 14" wheels feature an all black satin finish while the 17" wheels have an additional mill-cut accents. HD6 has a heavy duty 1,000 lb load rating while being easy on the scale!